just for a moment! i have made a commitment to do some other writing and so that’s what i’m going to do. a girl’s gotta work and today’s job is to organize a year’s worth of facebook friendship blogs into some sort of sense. 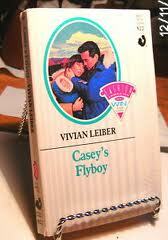 casey’s flyboy was the first book i ever wrote. it was about an anthropologist in alaska who falls in love with a pilot. the editor who called to say she wanted to buy it asked me how long i had lived in alaska. i confessed i had never even been to the state. thanks to facebook i have been to nome, kotsebue, anchorage and homer, alaska. i haven’t eliminated panic attacks or the powerful desire to shut the door and make the world go away. in fact, today i had to take two ativan and sit in the parking lot of the local hospital so that i could dash into the emergency room if the ativan didn’t make it all better. it must have worked because after twenty minutes i was reading the august issue of allure magazine and pondering whether i’m too old for purple mascara. My name is Molly I am 27 years old and I live in a small town in Lower Michigan. For the past 8 years I have struggled with agoraphobia. I have missed out on countless trips with my family, family functions, holidays, you name it I missed it. My sister came to me last Christmas and told me she was getting married and she really wanted me to attend her wedding. I felt doomed that I would never be able to make it to her wedding. I was scared and upset that she too would be disappointed by me and the agoraphobia would again win. The longer I sat watching the world go by around me the more I wanted to get out of the house. So one day I got a wild hair and decided enough was enough and I set off on my very first journey. I didn’t tell anyone where we were going or when we would be back. I am sure they assumed our trip would be short lived and back home within a few minutes because that is all I was able to do. Oh how wrong they were… As we headed down the road both my husband and son not knowing what I had planned to do, I navigated them down the side streets of our little town, Out on the back roads we went (avoiding as much traffic as possible) We usually take the country roads if possible. I didn’t get too far before I started to feel anxious and then the tears started flowing, I held my husband’s hands and with tears in my eyes I told him, “I am scared… I want to go home” He asked if I wanted him to turn around to which I replied “No, I will be ok” “I am not turning back” He said ok just let me know if you need me to turn around. My son in the back seat kept telling me I was ok. After a ways down a few different roads they finally realized that I was making the trip out to see My in-laws who live 13.4 Miles from my house (22 minutes by car if you take the main roads) but the route I had to take made it a 13.7 mile trip (31 minutes by car) Half way to their house tears of joy came over me and I was so proud of myself.. My son kept saying you’re doing it Mommy… You’re doing it… I am so proud of you!! By the time I got on the final road before their place, Sheer panic had fully set in… I wanted to turn back but knew if I could push through the anxiety just a few more minutes I would be at their house and that I did! I made it with no problems. I was able to stay at their house for over an hour and a half with no problems what so ever… I surprised myself at how good I did. I had accomplished what I set out to do and if that meant just pushing through the anxiety with no help of medication etc. I did it. I didn’t know that by doing that I had opened up the road to adventure. I haven’t stopped since then. I have visited my Grandma grave on Mother’s Day (haven’t been there in years) went to my sisters, My in-laws for dinner (again) Visited my friend and her family, went out to a friend’s farm for my son to see their horses and mules, Visited Grandma J among other people. I even made it to the dentist just recently I didn’t take any medication to do my travels EXCEPT the dentist which me meds didn’t kick in until after I left my appointment. I have been taking my son every day to the park program and picking him up (except on Fridays cause I don’t have a license) I guess in the simplest terms the only reason I am getting out and enjoying life once again is I pushed myself, I pushed myself through the fear, anxiety, and unknown. I knew deep down that I would be ok. The dentist appointment seemed to be the hardest adventure yet because I hate going to the dentist… But I sure did have the best motivate ever in the form of an 8 year old blue eyed boy who told me as I sat in the house hyperventilating in fear… You know Mommy… You don’t have to be scare, I heard on TV you have to face your fears, so come on well face that fear together… How could I refuse? If my 8 year old son could do it, so could I! So I am one step closer to attending my sister’s wedding, she is going to get her wish; her only sister is going to attend her wedding!! I have great faith that anyone can accomplish what I did; all they need are a few simple things. 4.) Persistence to push through it! I am not saying it was easy by any means it was not easy when I started out and I still have Pajama days where I really don’t want to leave my house but I still try and make it a point to leave everyday even if it’s for a short trip out! I know I still have a long road of recovery ahead of me but I will make it. I have a great network of friends on Facebook who are agoraphobic to and they seem to give me a bit of reassurance that I can do it, I do it for them, my family & my friends… But most of all Myself!! This entry was posted on Friday, July 27th, 2012 at 7:56 pm	and tagged with agoraphobia, blogosphere, blogs into books, book writing, facebook, friendship, guest bloggers and posted in Uncategorized. You can follow any responses to this entry through the RSS 2.0 feed. « planes, trains, automobiles. . . but no ponies! absolutely! you’re a beautiful woman and you have made such insane wonderful mindboggling progress! HEY ❤ this are an amassing share from your heart , as mush I do appreciation you and identify my addition to face book I really not want to blame FB but have the courage to change the things I can !